Whether you are in the early stages of building your practice, or are at the peak of your profession, Valley Dental Arts is here to help you do your finest work. We work closely with you, building personalized, lasting relationships to ensure the best outcomes for every patient, every time. We approach each case like a commissioned piece of art: fully customized and complete only when it makes you — and your patient — smile. 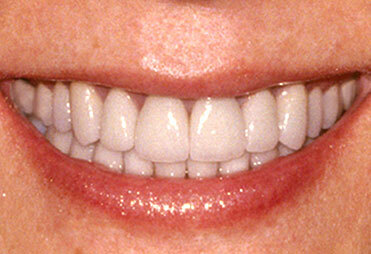 If you are looking to take your practice to the next level, smile. "As a loyal client of Valley Dental Arts for the past 20 years, I have had the pleasure of working with a first class, synergistic team that creates beautiful, natural looking restorations I feel makes them second to none. As a result of this synergy, the team at VDA has evolved me from being an average dentist to becoming an Accredited Fellow with the American Academy of Cosmetic Dentistry. If anyone is making the commitment to restore their patients to an optimum level they need to work with VDA." "Chuck Maragos and Ole Mathiesen have put together a highly experienced TEAM of dedicated staff who provide each clinician with their expertise to provide patients with the best possible care, and final highly esthetic result. Valley Dental Art’s state-of-the-art teaching center and educational offerings, confirm their commitment to our industry and the pursuit of excellence"
"...working with Valley Dental Arts is a true pleasure. Over the years my team has experienced a wide variety of case types. What is typical and predictable is the quality and the crispness of the cases. The patients are always pleased and we thoroughly enjoy Chuck, Dean and Ola...you will too." "VDA's unsurpassed commitment to quality, while providing excellent support and communication, helps practitioners provide the best patient care possible. They stand behind the quality of what they produce to an extent I have found nowhere else in the industry." 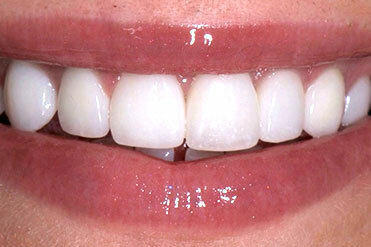 "Valley Dental is the perfect combination of quality and consistency... They are able to combine the personalized feeling of a boutique lab in a commercial lab." "When you are assigned to your team you are assigned to YOUR team... You can develop the relationship you need to push the limits cosmetically and hit the mark! They make a big effort to find what we like and to customize for our needs". "The lab, Valley Dental Arts, is crucial in the pre-planning stage. The natural beauty, being able to create that, is imperative to this kind of work. There’s ten, fifteen colors that go into this very thin porcelain chip, and the craftsmanship and artistry that goes behind it, it’s just incredible how they do it. So without a lab like Valley Dental Arts, I wouldn't be able to do it." Full crowns placed on #4 - #14 and #19 - #30. E.max crowns placed on #8 #9. Opaqued titanium abutments and layered zirconia crowns placed on #7 & #10. 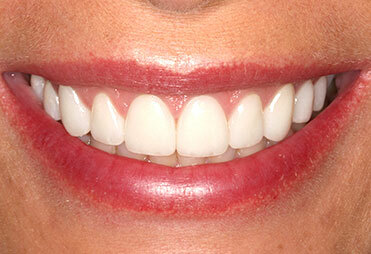 Implants placed in #7, #9, and #10, along with e.max crowns on #6, #8, and #11. 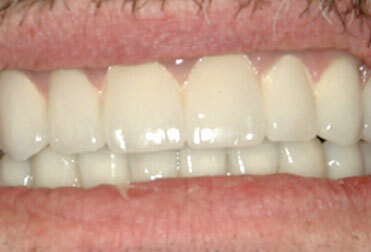 Lithium Disilicate e.max veneers placed on #5 and #12. 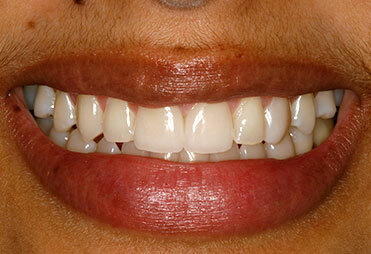 All teeth were extracted and implants were placed on upper and lower jaws. 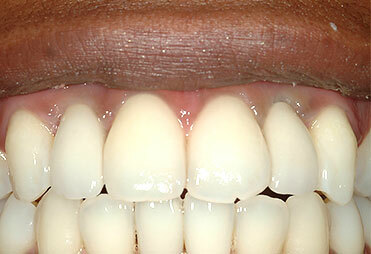 A porcelain bridge was fused to precision milled meso structures. 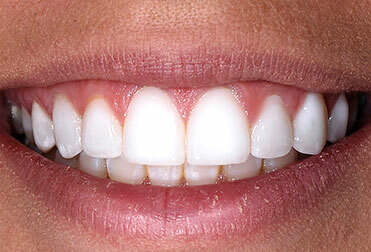 Veneers placed on #4 - #13.